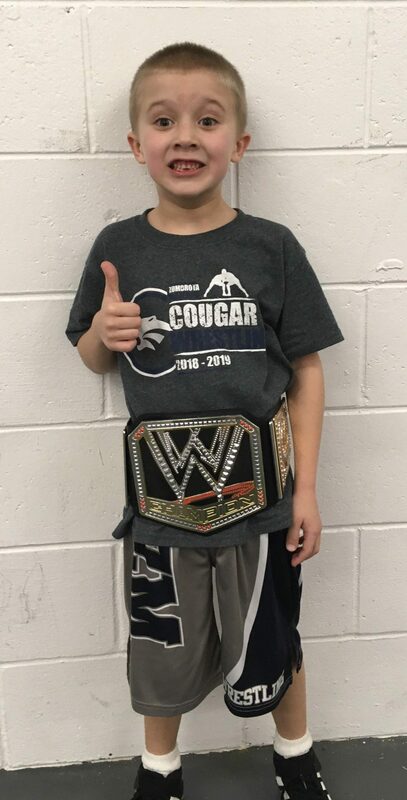 Braxton Mehrkens is the Youth Wrestler of the Week. Braxton is in 4th grade and son of Kyle and Amber Mehrkens. He earned this award for his great effort and intensity. Keep it up Braxton! Roughly 90 wrestling fans made the trip to Minneapolis to watch the MN Gopher wrestlers defeat Purdue. Many kids were able to get autographs from Caden Steffen, Goldy Gopher, and Gable Steveson at the match. Monday Tuesday- Youth practice. PreK-3rd at 5:45. 4th-6th at 6:45. Wednesday, Thursday, and Friday– Youth open mat/team practice at 5:45. Saturday- Conference JV at Cannon Falls. Youth open in Grand Meadow. Youth practice is moved to Tuesday due to school cancellation today open mat tonight at 6:30 . This is not required, just an option for those who want mat time and can make it safely. 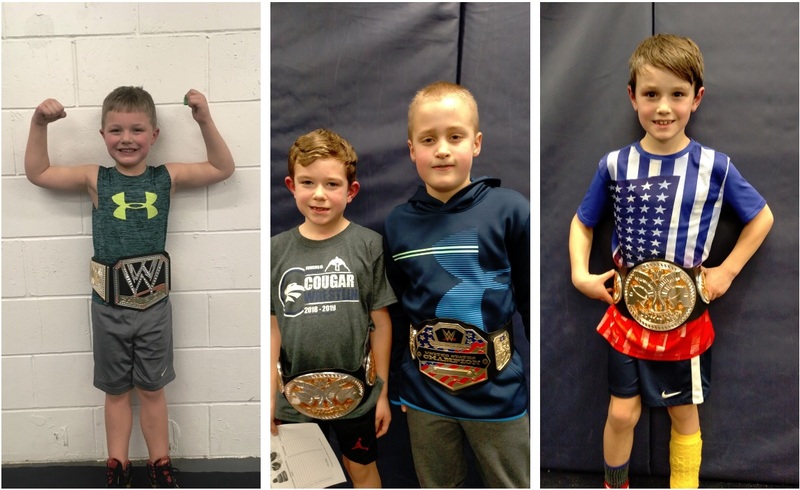 Our youth wrestlers of the week are Ryan Finstuen, Bo Holst, and Aidan Rolland. Ryan is in PreK and son of Josh and Jodie. Bo is in 2nd grade and son of Nate and Katie. Aidan is in 4th grade and son of Richard and Heather. Wrestlers earning Cougar PAW (Practicing kindness, Acting with respect, and Working to do your best) awards were Zoey Paden and James Ryan. Good job all! The youth team placed 5th in Kasson yesterday. We saw some tough teams but wrestled with a lot of heart. Monday- Youth open mat at 6:30 PM. NEW as of 1:45 PM Monday, Jan 28. Tuesday– Youth practice. PreK-3rd at 5:45. 4th-6th at 6:45. Thursday- Cannon Falls and Caledonia at Home. Senior Night. Youth open mat at 6 PM. Saturday- JV Duals in Mazeppa. Youth individual tournament in Lake City. Sunday- Bus trip to watch Gophers vs Purdue. Bus leaves from Zumbrota High School parking lot at 10:15 AM. More details to come via e-mail. Thank you ZM Wrestling family for helping make our home tournaments a success this weekend! Weather impacted our numbers on Friday but otherwise went smoothly. 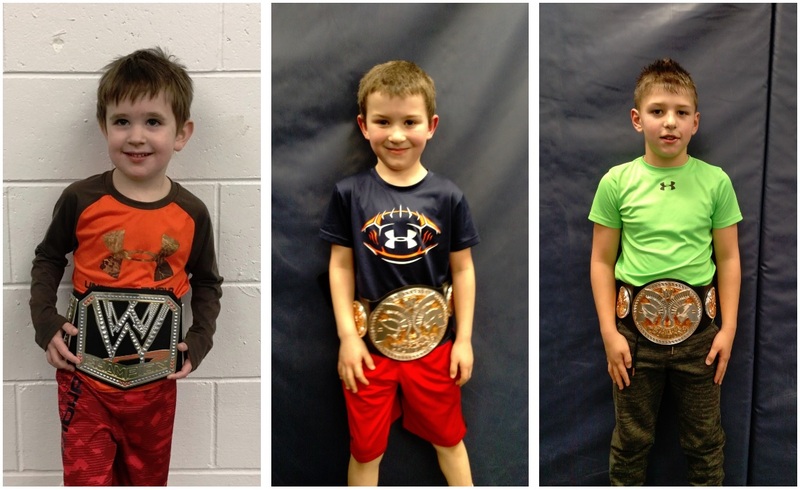 Our youth wrestlers of the week are Oakley Lohmann, Lucas Stahosky, and Maxwell Ramer. Oakley is in PreK and son of Brady and Amanda. Lucas is in 1st grade and son of Jared and Ashlee. Maxwell is in 4th grade and son of Corey and Elizabeth. 4 youth wrestlers recently earned Student of the Month! They were Braylen DeFrang, Ethan Navratil, Benton Radtke, and Carl Murray. Please note youth practice days below for this week. Looks like we could get some weather on Tuesday, so if school is cancelled on Tuesday we’d practice Wednesday night instead. Tuesday Wednesday– Youth practice. 100 Takedowns. Don’t forget your pledges! PreK-3rd at 5:45. 4th-6th at 6:45. Thursday- High School @ Kasson. 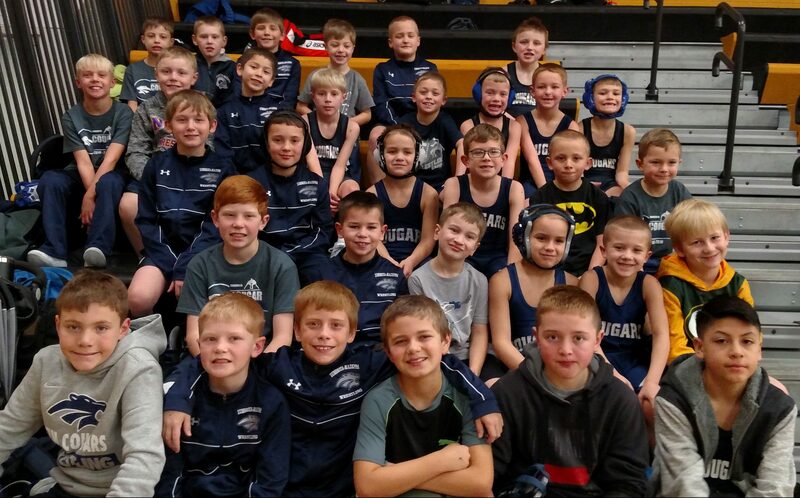 Friday– Youth open mat/team practice at 5:45. Saturday- Youth individual tournament in Kenyon. High School at Bloomington Kennedy. Sunday: Youth team in Kasson. Individual tournament in Rochester. The youth wrestling tournament is still on for tonight in Zumbrota! Allow yourself a little extra driving time with the light snow falling out there. Weigh-ins: PreK-3rd from 4:30-5:45 PM. 4th-6th from 4:30-6:15 PM. We’ll update Facebook, Twitter, and this website if something changes. Our youth (Friday) and varsity (Saturday) home tournaments are this week! Please consider volunteering your time and talent to help make these a success. You can sign-up in the link sent to you via e-mail. 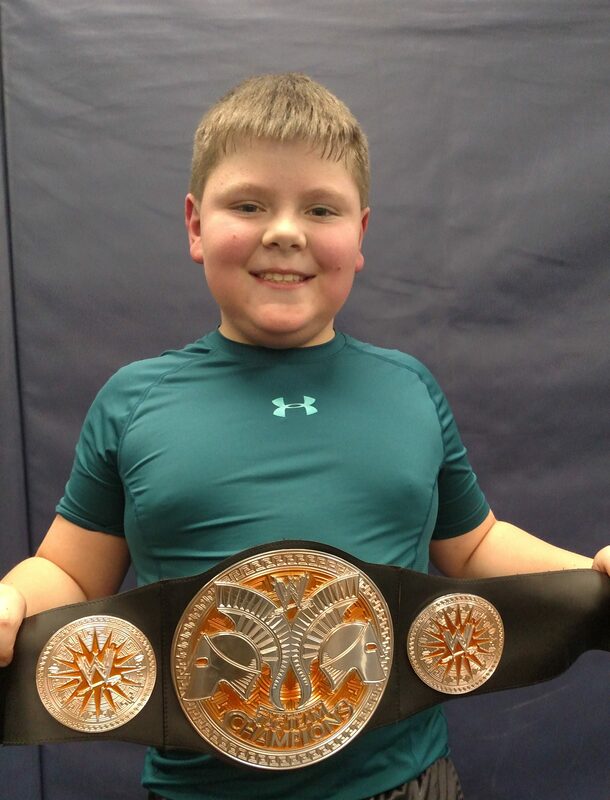 Our youth wrestlers of the week are Bo Diercks, Evan Scharpen, Benton Radtke, and Carl Murray. Bo is in PreK and son of Matthew and Kelly. Evan is in 2nd grade and son of Mike and Teri. Benton is in 3rd grade, son of Brian Radtke and Jynnylee Nesseth. Carl is in 4th grade and son of Matt and Martha. Last call to RSVP to the Gopher vs. Purdue dual on February 3rd. We’ll be ordering the group tickets soon. Please check your e-mail for details. Monday- Youth practice. PreK-3rd at 5:45. 4th-6th at 6:45. Wednesday– Youth open mat at 6. Thursday- High school at Lake City. Friday- Youth individual tournament in Zumbrota. Saturday- High School home team tournament in Zumbrota. JH at Mankato East. Sunday: Youth individual tournament in Hayfield. The youth team competed in Cannon Falls today going 3-2, finishing 6th out of 16 teams. The wrestlers were able to top Byron, Rosemount, and Faribault while falling to KW and Caledonia. Great start to our dual meet season! Tanner Poncelet is the Wrestler of the Week. Tanner is in Kindergarten and son of PJ and Chalsie. Our second home meet of the season is a triangular on Thursday against Byron and Goodhue. Wrestling starts at 5 PM. See you there! A reminder to RSVP for the Gopher Dual on February 3rd. Check your e-mail for details. Thursday- Byron and Goodhue at Mazeppa, 5 PM start. Parent Night. Youth open mat at 6 PM. Saturday- Youth individual tournaments in Eyota and Simley. High School at Wabasso. 32 youth wrestlers took a bus to Plainview on Saturday to wrestle in the ‘Festivus for the Wrestivus’. Before the tournament began, the wrestlers got to watch Santa Claus lateral drop the Grinch for a pin. Great day of wrestling and hanging out with teammates! Rylan Brown and Soren Scharnweber were recognized in the News-Record for their hard work in the classroom earning them Student of the Month.